At Children’s, our pediatric surgeons are leaders in safe and effective surgery for kids. Your patients will be in skilled, compassionate hands. We keep it as simple as we can. If you would like us to send outpatient surgery information sheets to your office for patients scheduled for a procedure at one of our locations, email Georgia.Johnson@choa.org. 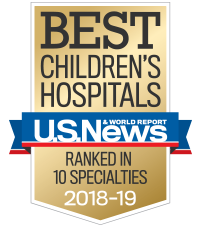 Surgery Update Newsletter: This quarterly newsletter was developed by our pediatric general surgeons to share information about surgical conditions with community physicians.